On 11 February, 1972, the Clarion announced that the contracts of professors Jon Fagerson (English) and Richard Ward (History) would not be renewed. Both men had been hired during the 1966-67 academic year and, having completed their fifth year of employment at Bethel, would have been eligible for a five-year contract renewal. 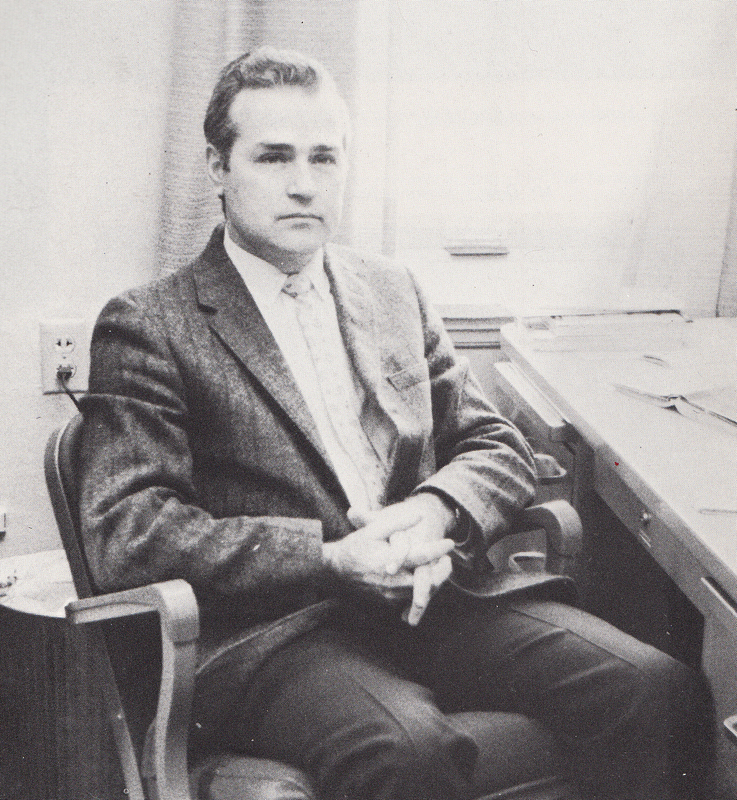 In explaining the decision to release the professors, President Lundquist cited the shifting of departmental teaching loads engendered by that year’s newly re-designed curriculum and the need to maintain “economic balance.” Cited as well were changing student demand, made evident through a departure of students from English and history to psychology and social work. The announcement was met with quick and near-unanimous opposition from the student body. The same Clarion which bore the announcement also contained an impassioned letter calling for Fagerson’s retention; the following week’s issue printed no less than fourteen student reactions to the news. Of the sixteen letters which would eventually appear, only two expressed dissatisfaction with Fagerson’s work at Bethel, and the author of one of those freely admitted they thought the professor should be retained for the good of the school. The remainder ranged from firm support to glowing admiration. Is it possible in a Christian liberal arts school for “politics” to pervade and rule where such a fine Christian professor is involved? Is this action a subtle way of censoring the faculty? Is the administration attempting to undermine the student’s right to a liberal arts education? 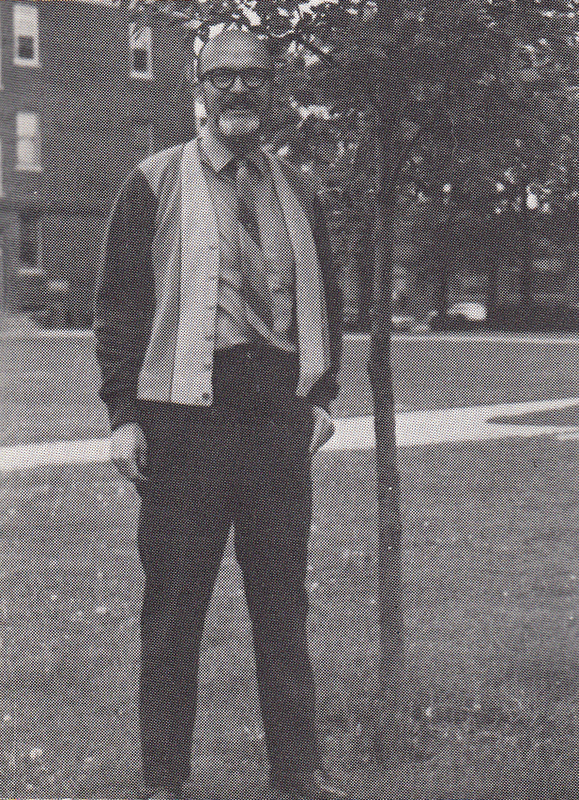 The answer, almost shouted in its degree of implication, was “yes.” For aside from his incredible popularity with students, the reason Jon Fagerson’s non-renewal concerns us here is that he was one of the Bethel College faculty’s most consistent and outspoken opponents of the Vietnam War. Was Fagerson’s anti-war advocacy the cause of his release? Or put less strongly, to what extent did Fagerson’s outspoken views contribute to Bethel’s decision to let his contract lapse? While those questions are the ones we might wish to readily resolve, a decisive answer is certainly not forthcoming, and unfortunately, is probably impossible to attain. Are we then incapable of saying more on the subject? Certainly not. Historical judgement is not, nor has it ever been, much more than a probabilistic enterprise. Even with an abundance and variety of documentation, the historian can never assert ‘fact’ with metaphysical certainty; as the amount and quality of evidence at the historian’s disposal increases, so correspondingly does the certainty with which historical judgement can be rendered. Our ability then to answer the Fagerson question with certainty is impeded by evidence — both that which has not survived and that which has. 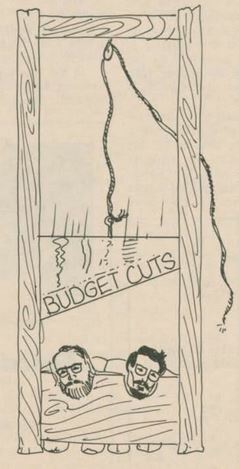 Lundquist’s justification for the release of Ward and Fagerson rested on two assertions: that the new curriculum had lightened the teaching load on the English and history departments and that fiscal tightening was necessary for the health of the school. With respect to the latter, the college’s financial statements were printed annually in the Baptist General Conference’s Annual Report (the operating budgets, however, were not), making the fiscal argument somewhat easier to assess. But in regard to the former argument, the documentation available is less than ideal. In deference to Bloch’s impetus to confession, the documents which could shed light on the validity of Lundquist’s argument — principally among them student enrollment figures broken down by department and a record of teaching loads, distributions, and course assignments among professors — have not seemingly survived. The documents which have survived are of limited use. The Clarion newspaper is valuable for assessing student tenor — at least that tiny minority of students who took the time to write to the paper — but can shed little light on the private deliberations of the administration. The weekly Administrative Council meeting agendas are tantalizingly suggestive, but with little more than bullet-pointed topics and no extant minutes, it is impossible to know what the content of any discussion was. Of only slightly more use are Lundquist’s quarterly reports to the college Board of Regents — although again, these meetings produced no extant minutes — and his annual report to the Conference. While the latter were publicly available, the former appear to have been for private use and are thus more valuable. Nor can we overlook the importance of process in creating the documentary trail historians follow. Assuming the worst — that Fagerson was released as part of an administrative purge of the most strident anti-war faculty — it’s highly unlikely that the process leading to that decision would have generated a paper trail. Both to facilitate the secrecy of the decision and to protect the school from a wrongful termination lawsuit, the personalities involved would have been hesitant to produce written records; the business would have been transacted exclusively over the telephone or through closed-door meetings. I don’t believe that scenario is particularly plausible, but it does illustrate how certain historical incidents can run up against the limits of what we “know we can say,” even if we might wish dearly to speak more decisively on the matter.² In an effort, per Dorn, to “undress” the polished authority to which historical writing pretends — perhaps deceptively — and to “confess,” per Bloch, to the messiness of the research process, we will turn toward evaluating the evidence available and will then put forth a tentative answer to the question before us. The earliest record of anti-war activity from either man came at the same time: the fall of 1969. 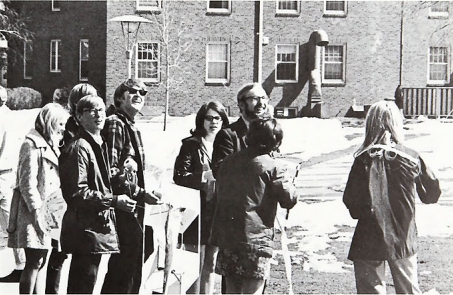 In the midst of the nationally-observed Moratorium to End the War in Vietnam, Bethel’s anti-war students circulated a petition which would be printed in the Clarion. Rejecting the war as “incompatible with the moral and humanitarian ideals as expressed by Jesus Christ,” the petition was signed by one hundred and twelve students and faculty. Among them were Richard Ward and Jon Fagerson, two of the eighteen faculty signatories. Understood in isolation, it is difficult to know exactly what those signatures represented. While undoubtedly a public expression of anti-war feeling, the wording of the statement is innocuous enough that virtually any Christian who was not a dogmatic anti-communist hawk would be able to endorse. For Richard Ward, the record of anti-war activities ends with that solitary signature in the fall of 1969, making it difficult to characterize him as a vehement opponent of the war. But for Fagerson the Moratorium statement was only the beginning of a series of escalating antiwar incidents. In early May 1970, Fagerson participated in what he called a “theater bit” opposing the Nixon-ordered incursion into Cambodia. 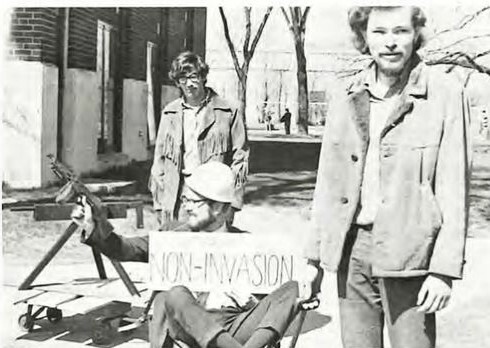 The “bit” was documented in the Clarion coverage of the Cambodian invasion protests at Bethel and in the 1970 yearbook. 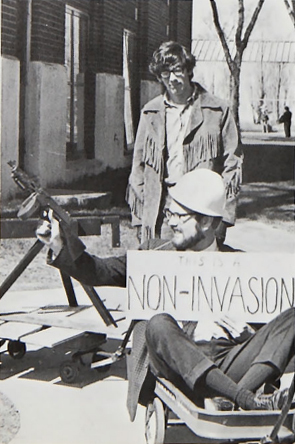 Fagerson and several students staged a “non-invasion invasion” in mockery of the Nixon administration’s defense of the Cambodian campaign. Drawing each other in wagons, Fagerson and his students marched around the campus, holding signs and carrying fake guns. The professor himself brandished a machine gun. I still believe that the military is organized murder; that there is no way as a Christian that I can justify participation in it; that Jesus would never have dropped white-hot phosphorus on women and children from his air-conditioned cockpit. Well, I judged you, sir, for being part of this system which thinks that labelling a man as the enemy makes it not responsible for his murder. But I did the same thing to you. I labelled you, I saw your uniform and talked to you as if you were the military instead of a person… Because I did not see you as a person, I was guilty of the very thing I was condemning in you. I will pray for you, if you will pray for me. When Lundquist first announced the decision to release Fagerson and when he responded to student outrage in the aftermath, he relied on two justifications. First, he argued that the curriculum revision which had been effected at the start of the 1971-72 academic year resulted in a diminished teaching load for the English and history departments. Second, because more students were now electing to major in psychology and social work, those departments needed to be expanded. The school’s budget could not withstand both the retention of and over-large English and history department and hire new faculty in the newer disciplines. Ward and Fagerson were thus, Lundquist argued, unfortunate casualties of structural and economic strictures. Lundquist’s justifications stood up far better than any of his students’ rebuttals. Divesting sports teams aside, contemporary student arguments generally displayed a mixture of impassioned idealism and uninformed moralism characteristic of youth. The reports to the Board of Regents confirm that this preoccupation was not an ad hoc defense; as early as September of 1971 Lundquist had already established the target ratios. But if Ward and Fagerson were released to help depress the ratio, the explanation makes little sense in light of the new hires to the psychology and social work departments. By the end of the next year two new professors would join the faculty, one in each department. In terms of effecting a net reduction in the faculty, the Lundquist’s argument was not sound — in so far as hiring more faculty after releasing Ward and Fagerson would have had no effect on the student-to-faculty ratio. This caveat aside, if the budgetary argument largely backed Lundquist, the justification based on the new curriculum’s effects did too. Although detailed information on course assignments and actual registration numbers would be ideal, the College catalogs provide enough information to at least plausibly substantiate Lundquist’s claim alone. The new curriculum which came into effect in 1971-72 was almost totally reorganized. Instead of a credit hour system, students were now required to complete thirty-four courses to graduate — seventeen being devoted to a major and minors (the somewhat awkward new terms were “concentrations” and “cognates” respectively) and the other half to general education requirements. The latter were significantly simplified. Students had to take freshman and senior colloquy (the former is the origin of today’s Introduction to Liberal Arts), three courses in Christianity, courses in three out of four divisional categories (Humanities, Arts and Letters, Behavioral Sciences, and Natural Science) selected from whichever three the student’s major was not in, and finally one from each of the four new “concern” categories — “Orientation,” “Communication,” “Environment,” and “Creativity.” Depending on what division a student’s major was in, required courses with English and history faculty under the new curriculum came to one or two — a net reduction of one to two from the old system. Was Fagerson’s anti-war advocacy the cause of his release? From the facts available to us, it is impossible to know with any certainty. It is hardly inconceivable that the entire controversy resulted from the coincidental conjunction between an embittered former employee’s speculation and an impassioned but ultimately uninformed student reaction. The plausibility of that scenario makes me unwilling to confidently accuse Lundquist and Olson of purging a dissident faculty member. However, even if Fagerson’s anti-war position was not the sole cause of his release, it is entirely possible — likely even — that it supplemented the economic and curricular justifications the administration employed. The nature of Fagerson’s (escalating) activism would have made him difficult to ignore and the professor’s repeated run-ins with the dean would have hardly made Olson well-disposed toward the man. In the absence of damning evidence, the most likely answer to the question is this: financial pressure and a changing departmental teaching loads meant that one professor from both history and English needed to be cut — in this respect there is no firm reason to question the administration’s stated reasoning. However, it is highly likely that Fagerson’ advocacy — both for anti-war causes and the undermining of lifestyle expectations for students — made him an easy (and perhaps in Olson’s case) a relishing target for dismissal. Of course, an attempt to read Olson or Lundquist’s mind across the span of forty-four years quickly devolves into speculation of mentalite — an approach distinctly unverifiable empirically. Still, beyond the official response to the incident, a number of unresolved questions and discrepancies suggest that perhaps the thesis is not so overwrought. 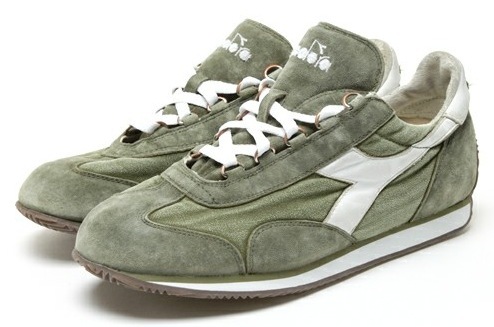 First is the issue of timing. 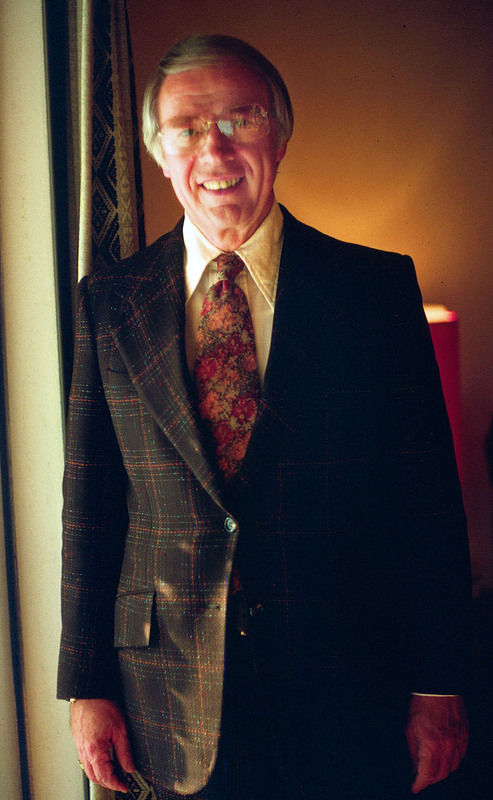 When Lundquist informed the Board of Regents of the controversy at the 6 April 1972 meeting, he stated that the “decision grew out of the mandate of the last Board meeting to increase staff in crowded areas of the curriculum only by reducing staff in the less crowded areas…”²⁰ That last meeting took place on 30 November 1971. However, according to Fagerson — and uncontested by the administration — he was informed of the decision on 23 November 1971, a week before the meeting Lundquist said the decision derived from took place. Second, and more suggestive, is the issue of departmental seniority. 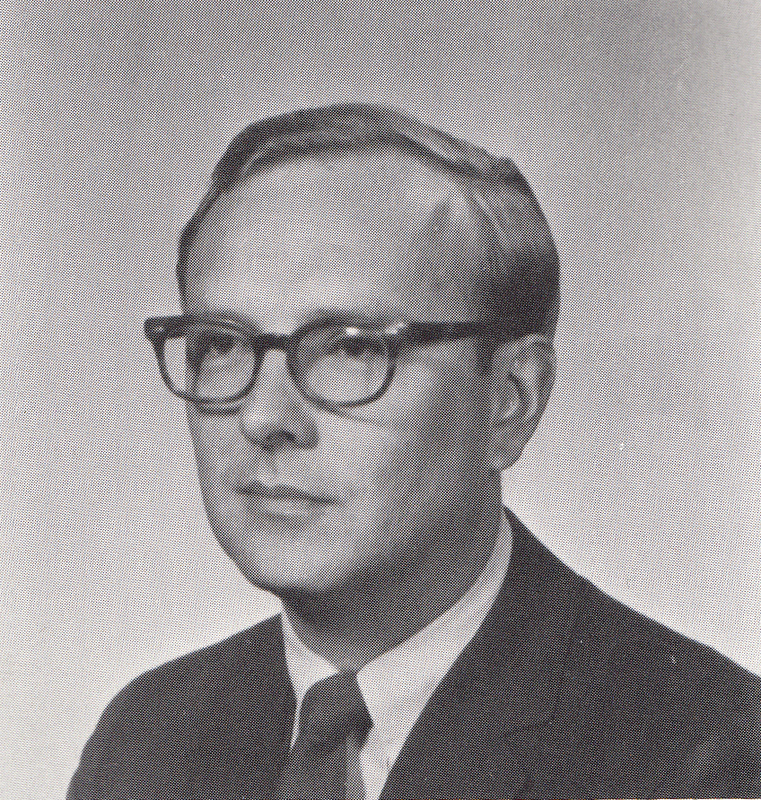 Both Ward and Fagerson joined the faculty in 1966-67. 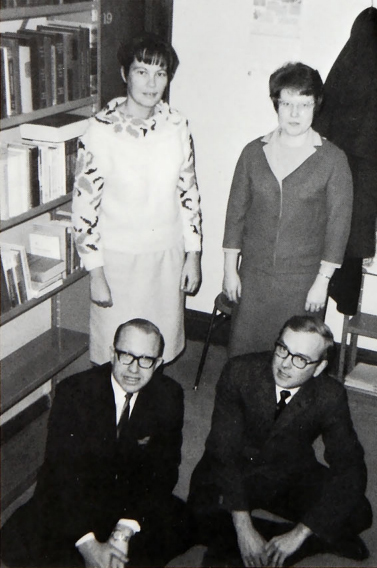 But by the 1971-72 academic year, Ward remained the most junior member of the history faculty while Fagerson had been replaced in that role by Ralph R. Joly. On the principle of seniority then, Joly should have been the English professor cut in 1972. 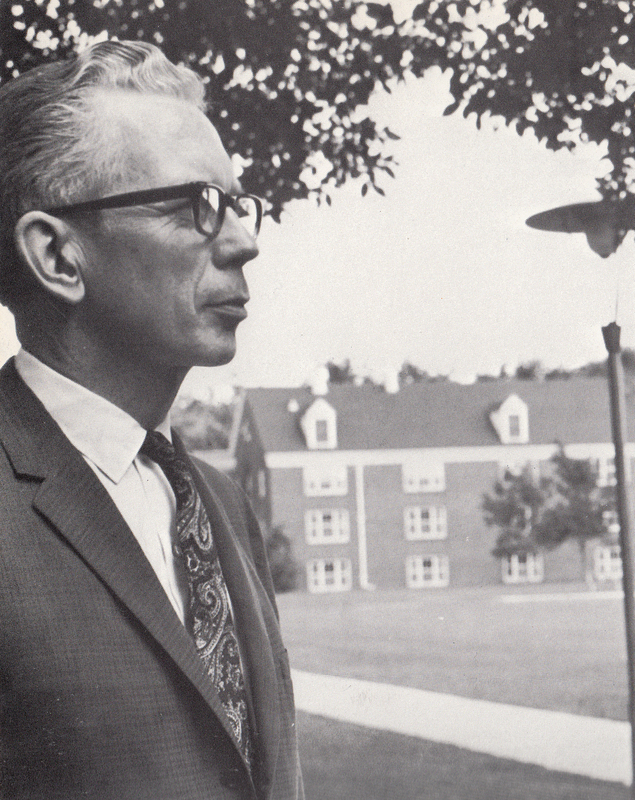 In Ward’s case, his departure was doubly justified, both in terms of seniority and in terms of department focus; much to the chagrin of Bethel’s history majors, Ward was the lone professor whose focus lay outside of the modern period. With the Vietnam War and other contemporary world issues in the foreground, the department’s decision to cut Ward and focus entirely on recent history makes even more sense. Indeed, further streamlining of the history faculty soon occurred when Political Science professor G. William Carlson began teaching in both departments, allowing for a broader array of political history without the addition of a new position. But in Fagerson’s case, his selection bucked both the seniority principle and the kind of departmental focus argument which was valid in Ward’s case; while the latter was a classicist only, the listing of Fagerson’s course responsibilities suggests the professor’s versatility and flexibility within the department. Taking the 1969 Moratorium Statement signatories as broadly suggestive of the political sympathies of Bethel faculty, Fagerson’s anti-war beliefs are not atypical. His name numbers among eighteen faculty signatures, comprising some twenty-three per cent of the full time faculty. What set Fagerson apart from his peers (including Ward) was his anti-war activism was rather more provocative in its expression. Furthermore, the three anti-war expressions examined here present a clear pattern of escalation. 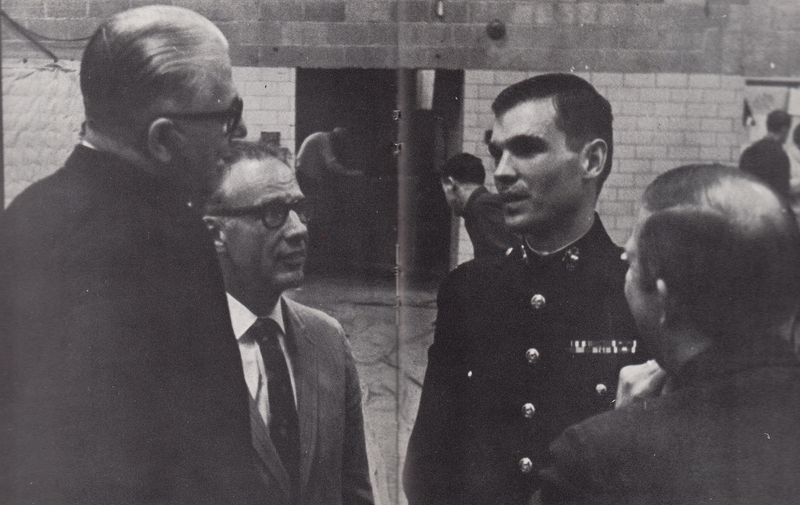 While the 1969 signing of the Moratorium Statement was a fairly conventional act, by October of the next year Fagerson’s confrontational interaction with a Marine recruiter in the fall of 1970 nearly resulted in physical violence and was only defused by the intervention of the dean — the same dean ostensibly responsible for the decision to release Fagerson’s contract the next week. 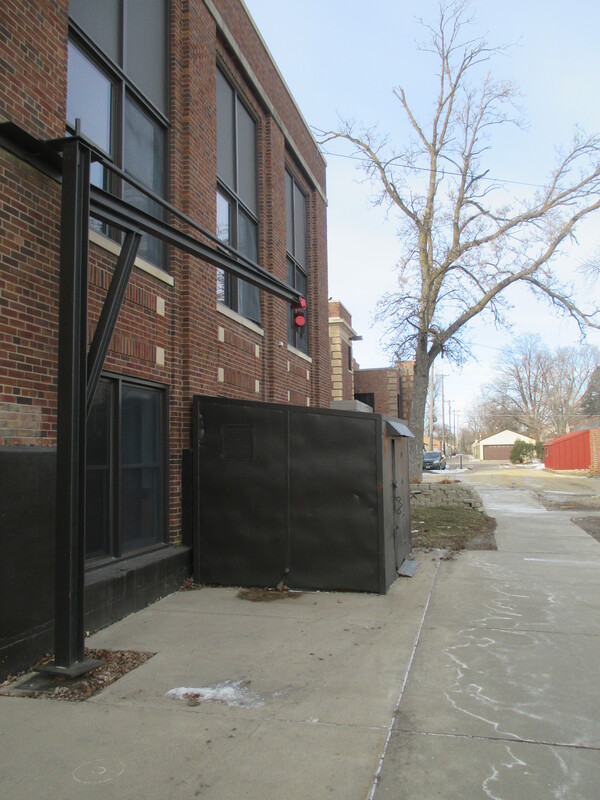 In April, Fagerson brandished a machine gun along Snelling Avenue, in full sight of passing pedestrians and commuters. Fagerson’s final transgression stems from the results and implications of the incident occurring in his classroom. And while not directly related to the Vietnam War, Fagerson’s actions there clearly derived from the same core commitments as did his opposition to the war. Partially as the result of a minority recruitment program, the late 1960s saw Bethel struggle with the issue of minority students and the cultures they brought with them to the school. Most minority students on campus at that time had grown up in a radically different setting than their white, Scandinavian, middle class peers. As a result, the lifestyle expectations of the school — which to most students flowed naturally out of both parental standards and the expectations of the Conference churches in which they had been raised — were decidedly foreign. When Fagerson sided with the minority student in his class, agreeing that Christians should befriend others on the basis of shared humanity and not standards of personal conduct and lifestyle, he stepped into a debate which had troubled the administration periodically over the past few years. But far worse than suggesting that Bethel’s lifestyle rules were not moral imperatives was the result of Fagerson’s position. The last thing Lundquist wanted in 1971 was for the troublesome trope of “liberal Bethel” to rear its head in the Conference as it had done with regularity over the preceding decades. Among the Conference’s more conservative membership, the positions of various Bethel professors, the curriculum, or educational initiatives had in turns provoked the denunciation of the school as “going liberal” or selling out the fundamentals of conservative Protestantism. Although such accusations usually faded from sight quickly, their repetition contributed to the weakening of relations between the College and Conference over the years. Furthermore, the school’s rapid growth due to the post-war GI Bill-induced burgeoning of the collegiate population necessitated expansion of Bethel’s facilities — an expansion which the Conference was hesitant to support; because the original need for Bethel as a training ground for Swedish Baptist youth and ministers had been largely eroded by a half-century of Americanization, the BGC needed convincing of the continued utility of the school. Lundquist’s Annual Reports to the Conference demonstrate his changing role. 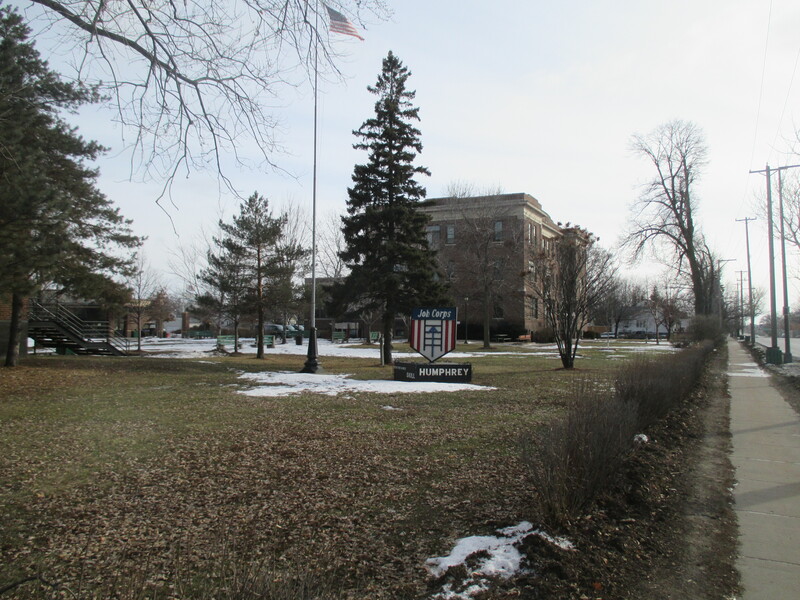 In the late 1950s, Lundquist acted as little more than an accountant, dutifully relaying Bethel’s statistics for the previous year. But by the mid 1960s, Lundquist had swung into passionate advocacy in response to waning Conference interest. 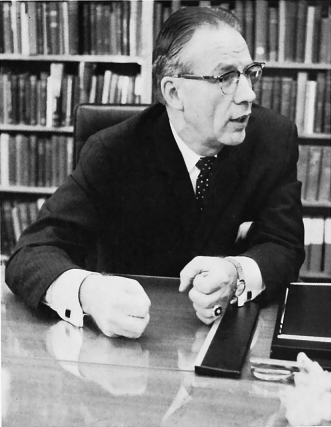 The mid 1960s Annual Reports document Lundquist’s attempts to set forth a rigorous defense of the institution and map out a unique vision for Christian higher education that would inspire Conference commitment. Thus, just when Lundquist was engaged in the difficult work of funding the ongoing construction of the new campus — much of whose funding came from individual gifts from Conference members — the last thing he needed was for a Bethel professor to reawaken Conference suspicions of liberalism that could upend his Bethel project. When Fagerson’s classroom actions provoked a student to contact her pastor — who in turn contacted Lundquist — the English professor threatened to begin the entire cycle over again. So while Lundquist and Olson might have even agreed with the content of Fagerson’s declaration — that Christians should relate to others on the basis of shared humanity, not obedience to rules — the implications of that statement for Bethel’s strained lifestyle standards and the relationship with the Conference were decidedly unwelcome. As I indicated at the start, definitive answers to the causes of Fagerson’s release are likely impossible to attain. The historical record lacks the necessary documents to prove the case. Yet a convincing explanation can be drawn from what relevant evidence has survived. That evidence indicates that while the administration’s rationale for releasing an English department professor’s contract holds water, enough discrepancies exist to suggest Fagerson’s anti-war activism (and related social advocacy) played a role in his selection as that professor. The controversy over Fagerson’s departure from Bethel was neither the result of an administrative purge of dissenting faculty — far too many anti-war faculty remained for that to have been the sole motivator — or a case of a vindictive former employee stirring up trouble. The truth lies between these two extremes. As much as historians would like answer every question conclusively, sometimes its attainment is impossible. After Bethel Fagerson nearly disappears from the historical record. A search of the University of Minnesota’s dissertation database reveals he never completed his doctorate — at least not at that school. Evidently, the professor was affiliated with Metropolitan State University for a time; besides having expressed interest through the Clarion in pursuing a lead there, Fagerson’s name appears on digital ephemera from that university’s history. Eventually, Fagerson moved on to teach English at Inver Hills Community College in Inver Grove Heights, Minnesota where he remained as late as 2010.²¹ And ironically, the Social Work professor hired in 1972 to the faculty slot Fagerson vacated resigned eighteen years later after his own in-class comments elicited a similar backlash from the Conference. While this essay is not the place to answer them, the material it covers does raise a number of interesting questions that would make for fruitful future research. 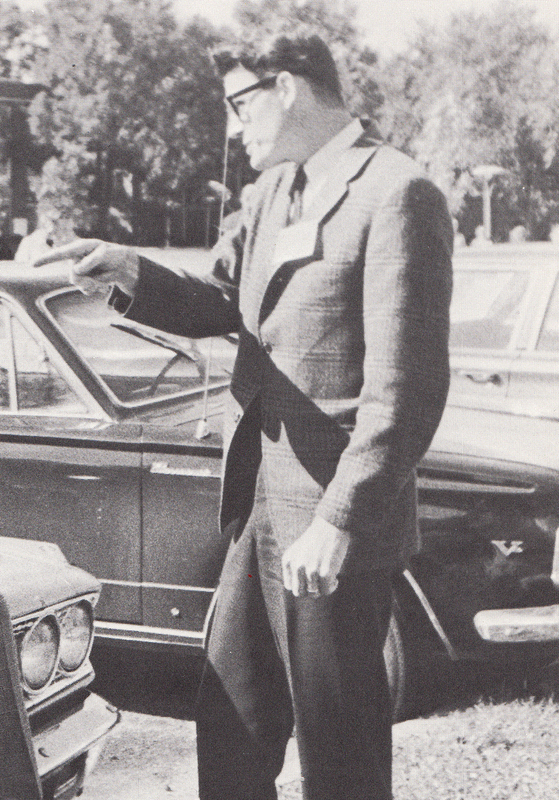 The role that theological and cultural tensions between Bethel and the Baptist General Conference played in shaping the school’s governance during the tumultuous long decade of the 1960s; the ways Bethel negotiated the sometimes-conflicting demands of academic freedom, freedom of expression, and a religiously confessional institution; and the related limits of protest and ‘the 1960s’ at Bethel all deserve full and detailed coverage. 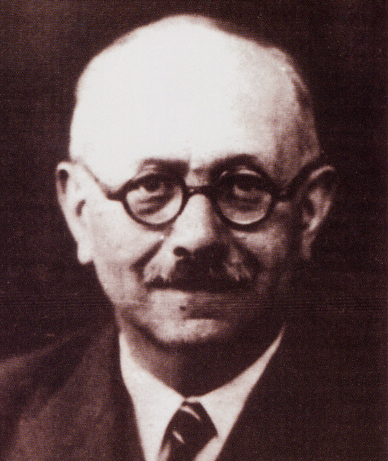 ¹ Marc Bloch, The Historian’s Craft: Reflections on the Nature and Uses of History and the Techniques and Methods of Those Who Write It (New York: Vintage, 1953), 71. ³ The History Center: Archives of the Baptist General Conference and Bethel University (hereafter HC), Lundquist Presidential Papers, Box 31A, President’s Bulletin, September 1957-July 1973, Bulletin, September 11, 1967; Carl Lundquist, “Contracts will not be renewed for profs Fagerson and Ward,” Clarion, February 11, 1972; Inver Hills Community College 2005 Catalog, 120. ⁴ Bob Miko, “Editor’s Note,” Clarion, February 11, 1972, 2.; Judy Harrington, “History, English Departments recommended initial firing,” Clarion, February 25, 1972, 3. 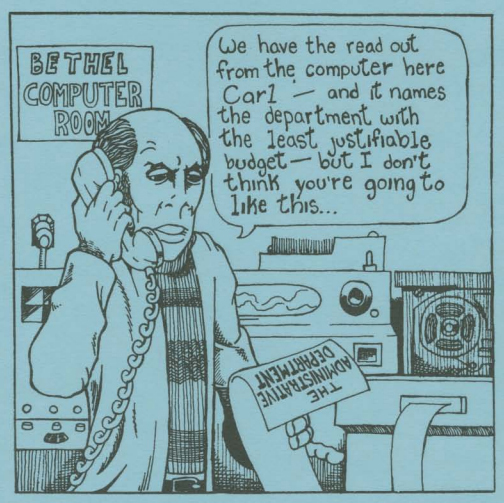 ⁵ Ibid; Bethel Spire Yearbook 1969, 180. ⁶ Barb Lindberg comments in Al Cooper, “History, English Departments recommended initial firing,” Clarion, February 25, 1972, 3. ⁷ Cooper, “History, English Departments recommended initial firing,” 3. ⁸ HC, Lundquist Presidential Papers, Box 29A, Folder 1 “Advisory Administrative Council, 1971-1972,” Administrative Council Meeting Minutes, May 11, 1972, 3. ⁹ Harrington, “History, English Departments recommended initial firing,” 3-4. ¹¹ Ibid. ; Lundquist, “Contracts will not be renewed for profs Fagerson and Ward,” 2. ¹² Harrington, “History, English Departments Recommended Initial Firing,” 3-4. ¹³ Carl Lundquist, “President Lundquist elaborates on the professors’ release,” Clarion, March 10, 1972, 5. ¹⁴ Bob Petersen, “Letter to the Editor,” Clarion, February 25, 1972, 6. ¹⁵ HC, Lundquist Presidential Papers, Box 39, “Reports to the President 1967-1970,” Dean’s Annual Report to the President, 1967-68, 3; HC, Lundquist Presidential Papers, Box 39, “Reports to the President 1967-1970,” Dean’s Annual Report to the President 1969-70, 6. ¹⁶ HC, Lundquist Presidential Papers, Box 30, “Quarterly Reports of the President to the Board of Regents,” Quarterly Report to the Board of Regents, September 17, 1971, 1; 6. ¹⁸ 1969 College Catalog, 35-36. ¹⁹ 1972 College Catalog – Registration, 6-9. ²⁰ HC, Lundquist Presidential Papers, Box 30, “Quarterly Reports of the President to the Board of Regents,” April 6, 1972 Board of Regents Report, 2-3. ²¹ “Review of Jon Fagerson,” RateMyProfessor, accessed 2015-01-10.